I’ve spent what feels like a lot of time cutting vintage sheet charm squares recently for my Etsy shop and have been wondering what to do with the off cuts. I already carefully cut each piece of fabric carefully before folding and putting through the Go! Baby but inevitably there are bits left. I have a drawer in a chest in our bedroom that is stuffed full of sheet offcuts, some because they have a slight mark on and others because they are smaller than 5″ square, I also have narrow and wide hems in there! In a mission to reduce the amount of fabric in the drawer I decided to try and make some fabric tape. Now here is a joyous moment when I realised that in the UK we have something that folks in the USA don’t seem to have – double sided sticky tape! The long and short of my experimenting is that – it works! 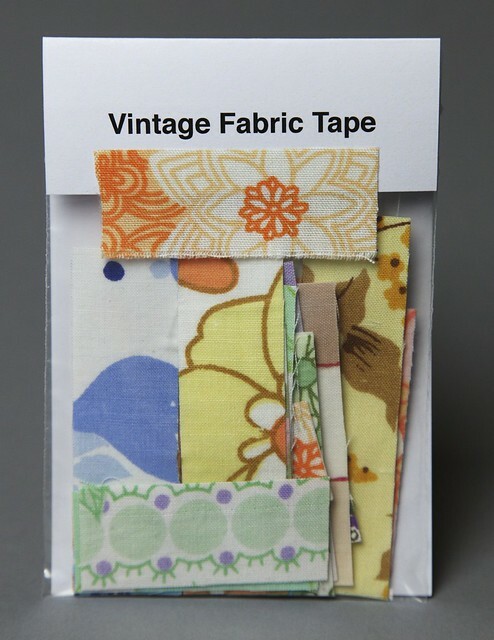 So from today I will be adding packets of fabric tape to my Etsy shop. 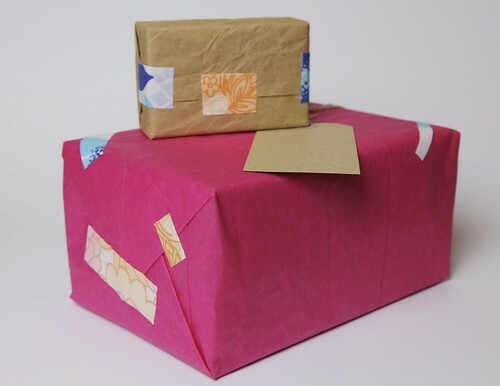 I gave a friend a birthday gift on Friday that was wrapped and used the tape on that, she was quite delighted, even more so when she realised the gift also contained a packet of tape for her own personal use, she then told me it would go in the special stationery box just to be looked at! So I hope you like it and if you fancy a packet of your own to use (or keep) head on over to my Etsy shop. You can also enter to win a packet, please leave a comment below and I’ll use the random number generator to pick a lucky winner next Sunday evening (7 October). Giveaway now closed. What a great idea! I hate wasting anything so it really appeals to me. I like the look of the tape – I could colour co-ordinate the tape with the wrapping! I’d love to win as I would never get around to making some of my own. Oooh what a smart idea! Oh so much fun! They look so cute on those packages 🙂 Please enter me in your draw!!! Fabulous tape! I love this idea! I don’t know if we have that tape here in Australia either! Clever idea. Most of my scraps end up at preschool. Hehehe. 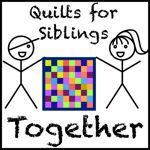 such a fun idea fir fabric scraps!! Great idea. This would really add something different to wrapped pressies. Brilliant idea, I can not throw the smallest scrap away and you can only make so many ticker tape blocks. What a great idea! It will especially add color when I realize I don’t have wrapping paper and use newspaper to wrap my presents!!! Thank you for the chance to win. Love this idea. I will be having a go. Love the idea of two sided tape. What a great idea Mary! Thanks for the chance to win. this is such an awesome giveaway. Thank you for the chance!